The GMRS J-Pole is tuned for maximum performance on the 462 – 467 MHz General Mobile Radio Service and UHF public safety band. GMRS radios are gaining in popularity daily; inexpensive and effective, these radios are redefining how families keep in touch. Installing a good external antenna will give you the fange you need to keep everyone in touch. 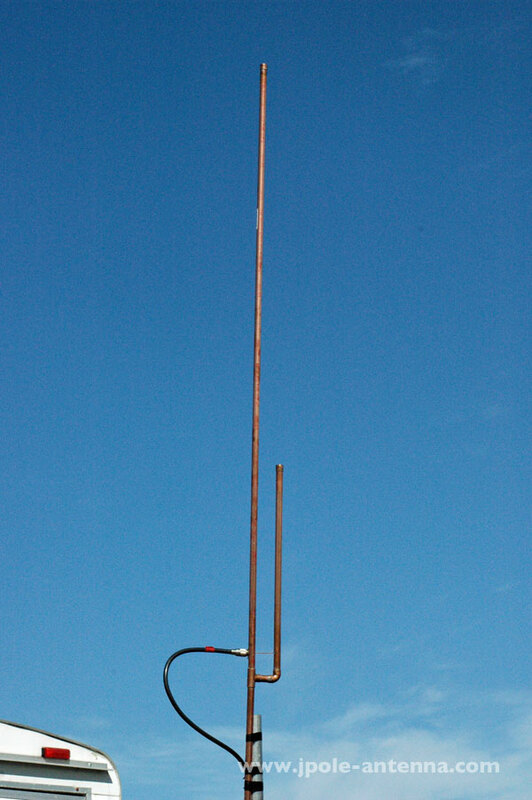 This antenna has an SO-239 connector on it which mates to a PL-259 connector. Or you can order the antenna with an N Female connector. These are the standard style UHF connectors. Please contact me if you radio system uses a different style connector, as you may require an adapter. If your base radio can accept an external antenna (many of the better models can), then adding one of these antennas will greatly improve your range. 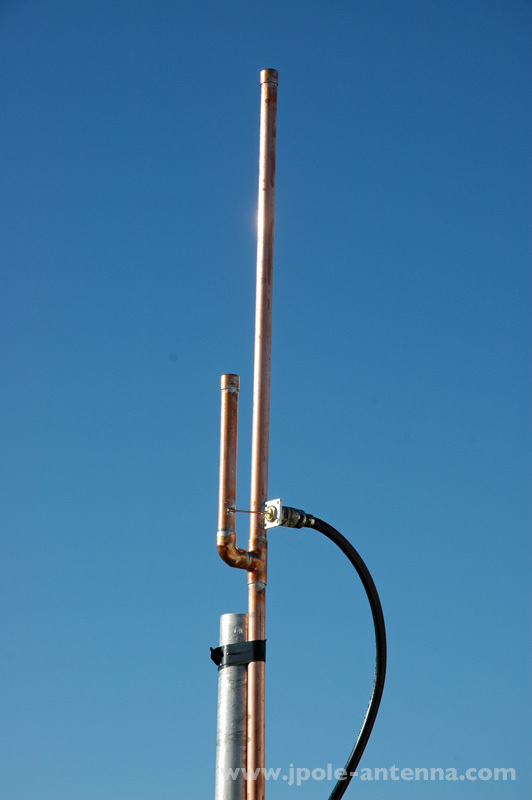 This antenna will also work on any of the commercial land-mobile and public safety frequencies located between 462 and 467 MHz. Not all GMRS radios can take an external antenna. If you have questions about this antenna or don’t know if your radio is compatible with it, please contact me first with the model of your radio. I’ll try my best to help you out. 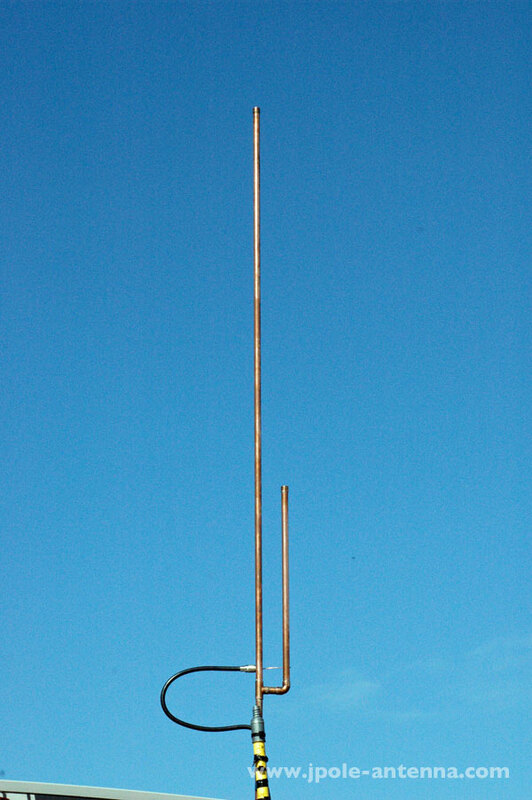 The J-Pole antenna is a half wave radiator with a quarter wave matching section. The overall length of the GMRS J-Pole is 30 inches, so if you take the length of the 1/2 wave radiator, plus the length of the 1/4 wave matching section, and the length of the mounting section below, it all adds up to to about 30 inches. Installed it on my radio at home here in nevada, hits repeaters nicely, did not put a meter on anything, just attached and went. sounds clear as a bell for us using a mobile as a base station and talking 20 miles away is done with ease!! nice product in my opinion and plan on buying more. Update to review from October 31, 2015. Since i purchased the GMRS tuned Jpole, i was a simple GMRS user. I now have since gained my Tech rating and have used it on the 70CM repeaters 49 miles away while passing over a mountain range to get to the repeater on a hill that is slightly lower in elevation. This is done using a juentai 6188 and LMR-400 50ft feeder line to the JPOLE. Clear audio reception and the other party said i sounded near Perfect and this was being done through a solar powered system providing 2 watts! the second repeater was a bit closer about 38 miles out. over the same range. I have used a UV5R with a Nagoya NA771 antenna 28 miles away to talk to my home Radio with the Jpole only 2 feet above the roof. WITH EASE! on 1 watt of power on the HT. This is not the type of stuff you expect on “good days” or “some days” this is every day results. The GMRS Antenna has worked excellent for MY needs and i have purchased the MURS and a second GMRS antenna that i plan on using for a repeater. is there a way to adjust the SWR for the antenna, or is this fixed at the factory? The designs I’ve seen show adjusting the feed point for this? I have mine mounted in my attic for about A month now works great did a test with A little mag mount antenna and A handheld 5 watt radio it works great very clear three miles away on 40 watts from my mobile mounted in the house soon I will be going farther out and doing some more test thank you! Just connected my new KB9VBR GMRS J-pole antenna to my new Kenwood TK8360HU 45 watt GMRS radio with some LMR-600 feed line. I am able to reach out to two repeaters that are linked and cover the entire north half of the state of Georgia. One of the repeaters is over 35 miles away!! I’d call that a Superior product for a great price. 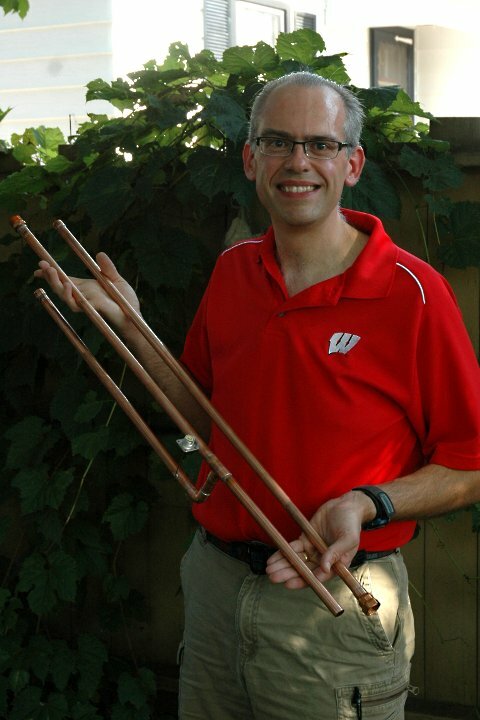 I can’t wait to get my HAM license so I can buy some more of these great antennas!